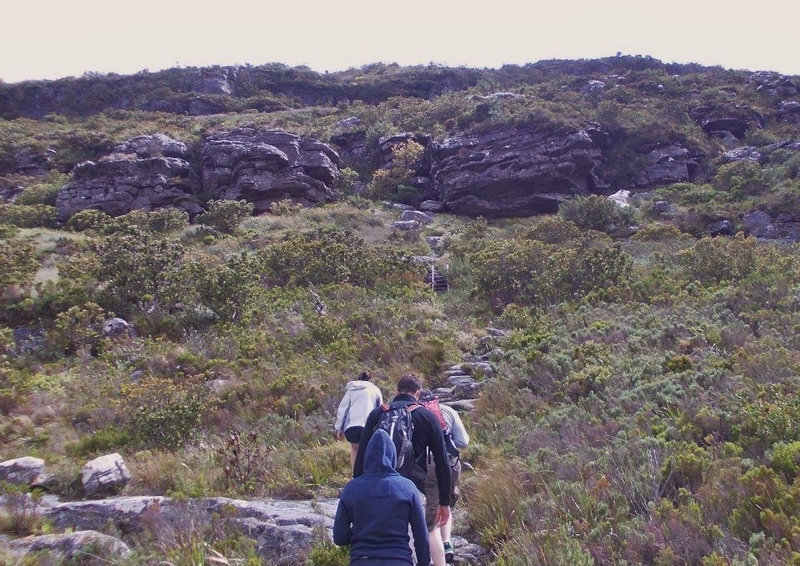 When it comes to the Cape peninsula mountain range there is no shortage of paths and hikes to choose from. Around 900 actually, so the choice is vast! I have been walking those mountains for 32 years and never seem to run out of new walks to do. Some hikes, for various reasons, are more popular than others but there are some paths that offer incredible views that are not as well known. Here are five of lesser known, less travelled routes that, if you’re a keen hiker, you really shouldn’t miss out on. 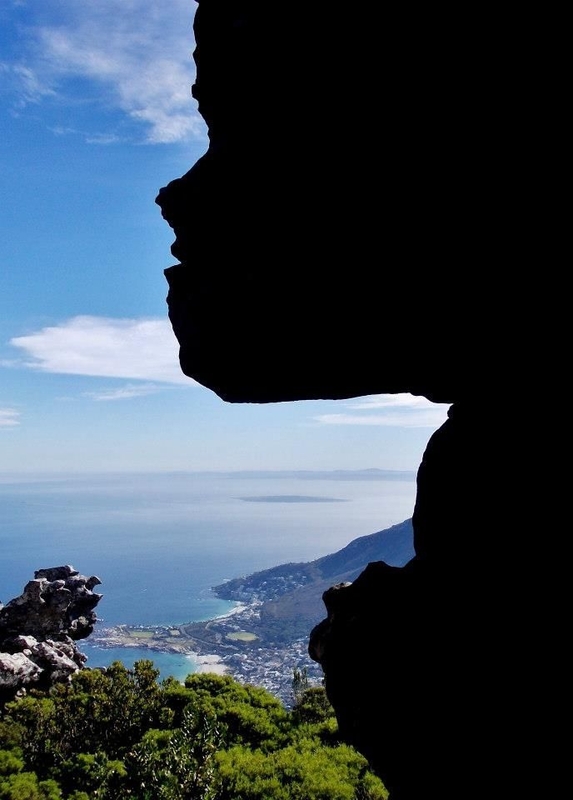 Tranquility Cracks sits on top of Slangolie Buttress which towers over Camps Bay. There are many routes to the top of Slangolie Butress but the best way is the route that starts from Theresa Avenue at the top of Camps Bay. Head for the Pipe Track and go up Corridor Ravine until you reach the Twelve Apostles path at the top. A short walk along brings you to the path that takes you to the magic place known as Tranquility Cracks. You can come back down on the same route or continue until you reach the top of the Kasteelspoort path which will return you back to your car. The second hike also incorporates a trip to Kasteelspoort but this time with an approach from the opposite direction. The start point is again Theresa Avenue at the top of Camps Bay and it is quite a challenging little climb up, but well worth it! Once at the top of Kasteelpoort turn left towards Table Mountain and shortly after you'll come across the Valley of the Red Gods. The path makes its way up to the right of the valley and heads straight for the Valley of Isolation. I love the name because, in the absence of other hikers, you are truly isolated. It is a beautiful place to have a break and you’ll need it before the next stage. The path slowly climbs its way out of the valley and heads for the top of Blinkwater Peak only to descend back down into Echo Valley. Follow the signs that show you the way to the cable car and Platteklip Gorge. The path again starts to climb but this time there are three ladders to help your rapid ascent (perhaps I should have mentioned that this is not a good hike for anyone with a fear of heights!). Much of this section of path is quite exposed and should be treated with a lot of caution! Once at Platteklip it’s a short stroll to the cable car. Oh, and it’s a good idea before you set off on this hike to check that the cable car is operating on the day, otherwise it’s a long walk down Platteklip George! The third hike starts where the second ended, the upper cable car, and takes you all the way along the front of Table Mountain to Maclear's Beacon. From there, you then follow in the footsteps of Jan Smuts on the path now known as the Smuts Track. This will take you down the Back Table towards the back of Hely-Hutchinson Reservoir. A careful descent will then take you down Skeleton Gorge and into the beautiful Kirstenbosch Gardens. Reward yourself with a drink at one of the two restaurants in the Gardens. The fourth hike takes you to one of my favourite sections of the Cape Peninsula mountains - Silvermine. Drive all the way to the Silvermine reservoir and start by walking on the gravel road below the dam wall. This walk will basically take you on a big circle around the reservoir, about 3 hours. The road will take you away from the reservoir and will meander up the mountainside. Once you reach the top there is a path that will lead you straight to Noordhoek Peak. On a really clear day this is probably my number one spot to sit and watch the world go by. The views are world class and you might find yourself spending more time up there than you planned for! Once you’ve had enough of the view, make your way back to the road and continue down the other side. The road will finally bring you down the back end of the dam, which will be on your right as you make your way back to the start. The fifth hike can be seen from Noordhoek Peak and quite honestly I think the two names should be switched around. Chapmans Peak is actually closer to the suburb of Noordhoek, but that’s just my opinion. 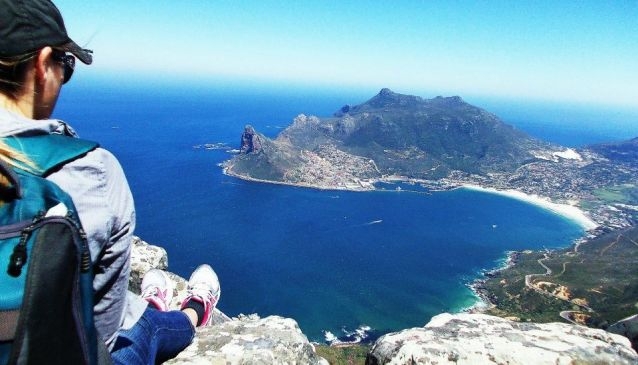 This great walk starts at the last picnic spot on the left as you are heading up from the Hout Bay side of Chapmans Peak drive. The path is clearly marked and the climb is about 15 minutes until you double back to your right to almost follow the route taken by the famous scenic drive. The path slowly makes its ascent towards Chapmans Peak. The bird life is incredible as well as the stunning plant life, so make sure that as you slowly climb to stop every once in a while and take it all in. All these hikes should be tackled with a route plan and knowledge of the area. Never go blind into an area that you are not familiar with and don't hike alone if you can help it. Always let somebody know your plans and leave a route planner with them. Track tweeting is a great way to be tracked or even a regular SMS of your present location. If you're in any doubt, read our top hiking safety tips before you head out. 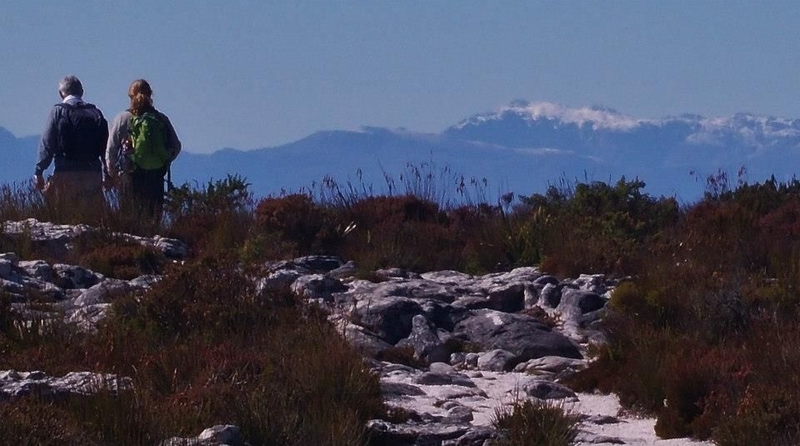 Tim Lundy has been hiking the mountains and forests of Cape Town for more than 30 years, starting as a young lad of six shadowing his father. Now an accredited mountain guide and qualified first aider, Tim regularly takes groups of walkers along some of the most breath-taking scenic paths and trails in the world. For more information on Tim and the hikes he leads throughout the peninsula, visit his Cape Town Hiking website, find him on Facebook, or follow him on Twitter.